Le nombre de ces pompes requis serait insuffisant dans le cas d’abandon du poste de commande suite à un incendie cumulé avec une perte de l’alimentation électrique extérieure au site. Ce problème dure depuis trois ans suite à une modification des prescriptions de l’association nationale de protection contre les incendies (NFPA). En mars 2018, lors d’un contrôle, les ressorts de fermeture de la pompe de refroidissement d’équipements d’urgence ne se rechargeaient pas suite à une erreur de câblage. Le problème a été corrigé. Available in english onbly . "At 1344 on March 29, 2018, it was determined [engineering evaluation] that an unanalyzed condition that significantly degraded plant safety previously existed. During a postulated control room abandonment due to a fire, and concurrent with a Loss of Offsite Power (LOOP), the required number of Emergency Equipment Cooling Water (EECW) pumps would not have been available from 10/28/2015 to 3/10/2018. "On March 8, 2018, during relay functional testing it was discovered that the C3 Emergency Equipment Cooling Water (EECW) pump closing springs did not recharge with the breaker transfer switch in emergency. On August 23, 2012, a wire modification was performed that contained a drawing error resulting in wire placement on the incorrect connection points for the C3 EECW pump. On March 10, 2018, the C3 EECW pump breaker wiring was corrected and subsequent testing was completed satisfactorily. 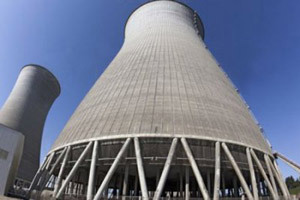 "Prior to 10/28/2015, Brown’s Ferry Nuclear Plant (BFN) adhered to Appendix R fire protection requirements which did not credit the C3 EECW pump for fire protection from the backup control location. On 10/28/2015, BFN transitioned to National Fire Protection Association (NFPA) 805 fire protection requirements which takes credit for the C3 EECW pump from the backup control location. 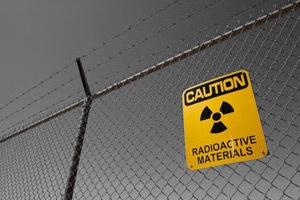 "This condition is being reported pursuant to 10 CFR 50.72(b)(3)(ii)(B), ’Any event or condition that results in the nuclear power plant being in an unanalyzed condition that significantly degrades plant safety’. This is also reportable as a 60-day written report in accordance with 10 CFR 50.73(a)(2)(ii)(B). "There was no impact on the health and safety of the public or plant personnel. The NRC Resident Inspector has been notified of this event."